The quote above comes from Lou Bloom as he crosses a TV news station set and sees the backdrop used in TV news shows – a panoramic view of the city of Los Angeles. The viewer, should s/he so choose, gets to ponder this observation as Lou inserts himself into the scene, and as the camera pans back, we not only see Lou via the screen we are watching, we also see him through the camera used to film the newsreaders. So, is it the distancing that makes it ‘look so real,’ and if so, how are we to qualify our own feelings on reality, and by extension, artifice? Is L.A. made more ‘real’ by the sheer volume of filmic representations, and is our interaction with screened images more real than our unmediated experiences? And how does that leave us all feeling about our lives in the ‘real’ world? Are we more inclined to live vicariously, if that offers us something more real than the kind of humdrum life that is not subjected to production, direction, wardrobe, and make-up, etc? 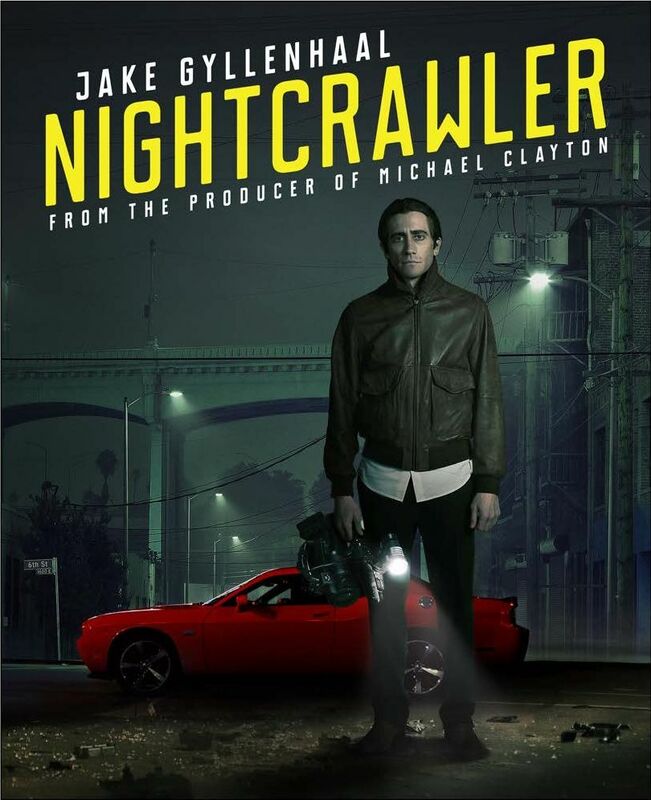 Nightcrawler offers some difficult questions, to which it does not attempt to force-feed us the answers. Being busy, and stuff, it’s usual that I don’t comment on films as they’re released. I tend to wait for them to come out on DVD or until I can stream them. The Enemy, starring Jake Gyllenhaal, is one such film. It’s been sitting on a shelf for over a month and I finally got round to watching it, and have not been able to stop thinking about it since, which I’m taking as a good thing. Ever conscious not to include spoilers, this post is a reflection on a couple of aspects of the film that have pre-occupied my mind. The first is the spider motif that runs throughout the film, and that owes a huge nod to Louise Bourgeois’ Maman. There is a great discussion about the film, and about the film’s fixation with spiders, on the following Reddit subreddit: r/movies (but be aware, this has plenty of spoilers, so maybe go there after you’ve watched the film). Spiders have long been associated with the female form, think of Ariadne and also Arachne as two ancient examples of this, and this film appears to tap into the unconscious fears associated with spiders that many humans buy into, but most interesting is the way the film also challenges this view by presenting spiders as fearful and/or subject to human cruelty – and so we are talking metaphors here that require some unpacking, not literal stuff. The second aspect is more a concern with the film’s aesthetics. From the off, the panorama views let you know that you can only be watching a film filmed in Canada, but the quality of the film, the filters, the camera angles (combined with the eerie soundtrack), and the angsty, not-in-too-much-of-a-hurry-to-move-the-plot-along-or-explain-everything-for-the-viewer feel of the film speaks very heavily of its European influence, and thank goodness for it. The film is challenging, slow in its pace, and offers more questions than answers, but it does make you think – and that’s a good thing, right?